The Clarksons are making dinner for friends and decide to try out their new pressure cooker. 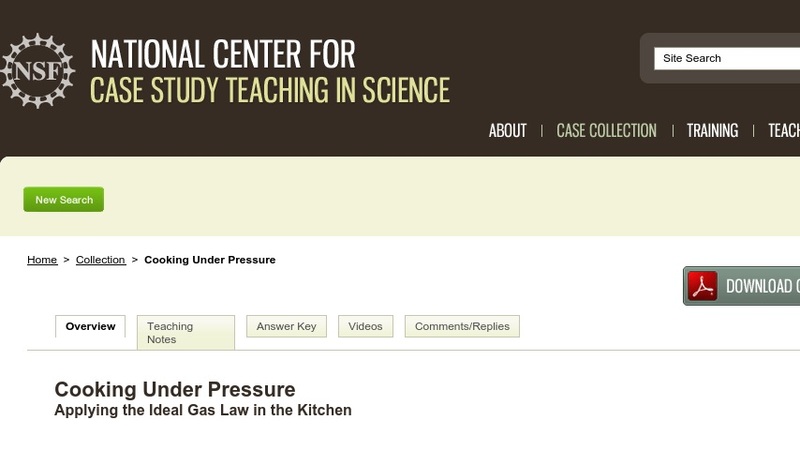 As students read the dialogue that ensues, they learn about how the boiling point of water is directly related to external pressure, apply the ideal gas law, and relate chemical reaction rates with temperatures in addition to learning about the conservation of energy. Designed for a non-majors’ general chemistry course, the case could be extended to other disciplines, including physics, nutrition, and microbiology.